Acrylic on Canvas; 2008. 142 cm x 112 cm. 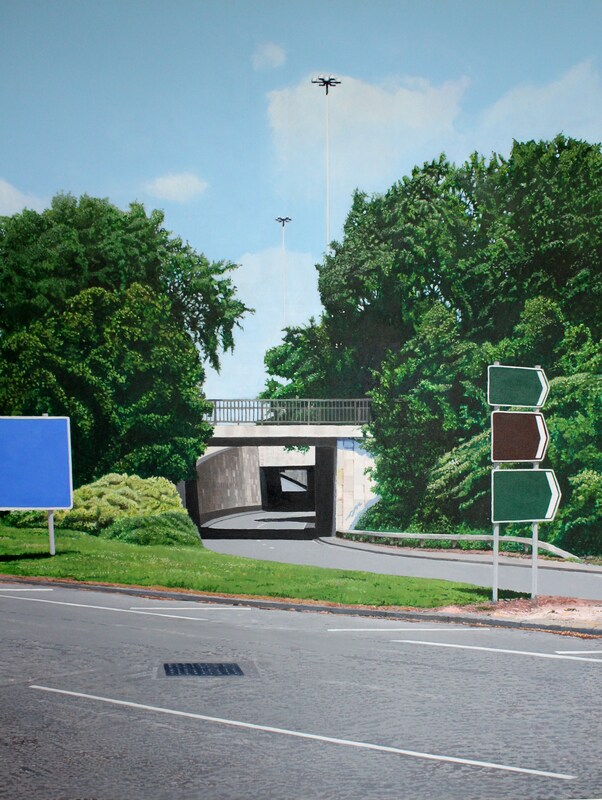 A work from several years ago, the subject matter was chosen for formal reasons, the frontality of the concrete structure, the framing of the trees and the recession offered by the winding underpass, which betrays no clue of what lies beyond.